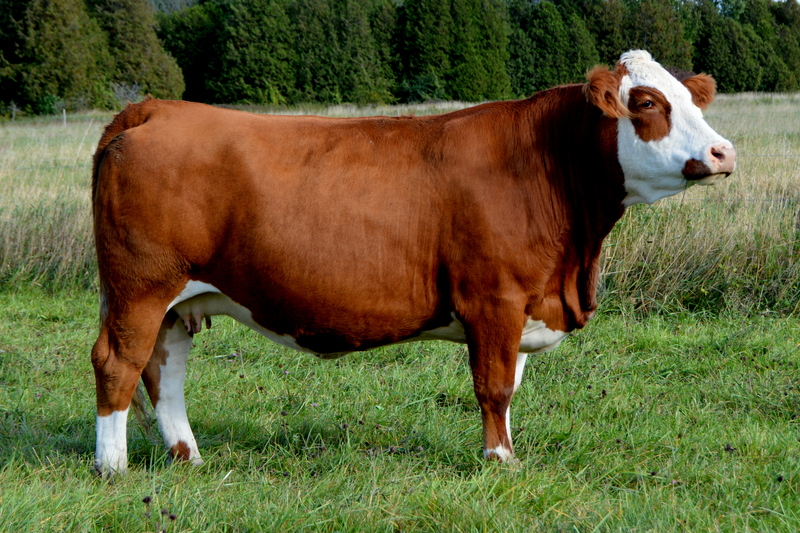 Hanna’s sire is none other than Pro Stock Hugo and out of a cow ( Keato Ms Eva 1U) we purchased as a heifer calf, at Fleckvieh Fest in Alberta, December 2008. Hannah’s 2013 bull calf by the legendary King Arthur bull has really impressed us. Kaw-liga is polled and we do have calves on the ground this year. Hannah’s heifer calf this year, by our Wow Effect up and coming herd sire, is also very impressive. Hannah is just 4 years old and has already made a big contribution to our herd .We really like our Hugo daughters. They calve unassisted, start their own calves and breed right back. My kind of cows.